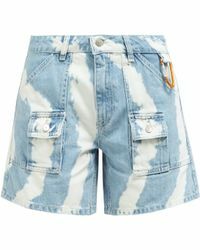 A summer wardrobe essential, denim cut-off shorts are loved by the fashion set for dressed-down days in the city, at the beach and on the festival circuit. Bare legs and embellished flat sandals or ankle boots complete the look for nonchalant cool. 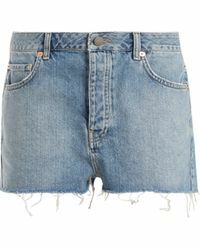 Shop denim in all hues from Rag & Bone, Topshop, Current/Elliott and more.